When people think about child custody, they usually think about married couples getting divorced. While custody battles can become major issues, among many, during a divorce, we also want to discuss unmarried couples who also find themselves facing child custody issues. 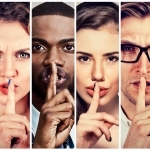 We recognize that, especially in more recent decades, many couples have decided to forego marriage and just live together. Sometimes they have children and sometimes they do not. For unmarried couples with children, each parent has the same rights with their children that married spouses do with theirs. 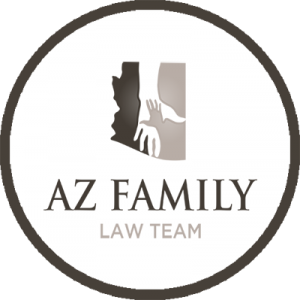 If you are separating from your partner and you have minor children, you may need to secure an Arizona family law attorney to help you through what can become a difficult process. Understanding the basics of Arizona child custody is an important first step, as they apply to both married and unmarried parents. 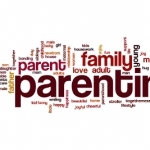 As long as paternity has been established, both parents will be involved in creating a sustainable plan for separation. For both types of custody, there can be joint or sole custody awarded but it does not have to be the same for both. For example, one parent can have sole physical custody while both share legal custody and vice versa. One parent can have sole physical and legal custody. For non-custodial parents, a visitation schedule needs to be arranged. If possible, the Arizona family court likes to keep both parents involved in the child’s upbringing barring any legitimate reason otherwise (drug abuse, physical abuse, criminal activity, etc.). Child support payments are also vital and need to be agreed upon. The court will examine the finances, living situation, and custody arrangements of both parents when making a decision regarding child support amounts. Presumed paternity means that the unmarried father’s paternity will be presumed if a DNA test confirms a 95% likelihood he is the father, if both parents sign the child’s birth certificate, both parents name the father in a legally witnessed document, and both parents agree to the paternity before the court. Court-ordered paternity may be required and can be requested by either parent. Guardians, public welfare officials, and the state of Arizona can also order paternity. 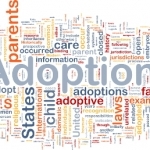 A court-ordered paternity test will be necessary if presumed paternity cannot be established. What Can An Attorney Do To Help? Separating from a partner is never easy. When children under the age of 18 are involved, the situation can become much more emotional and complicated. It is always wise to seek assistance from a qualified Arizona family law attorney before making any decisions or agreeing to anything with your partner. Everyone wants what is in the best interests of the children, but parents may not always agree on what that looks like. Whether a couple is married or unmarried, it is vital to ensure all issues related to child custody are done correctly. An attorney can make sure you are treated fairly throughout the process. What is an Arizona Parenting Plan in a Child Custody Case?